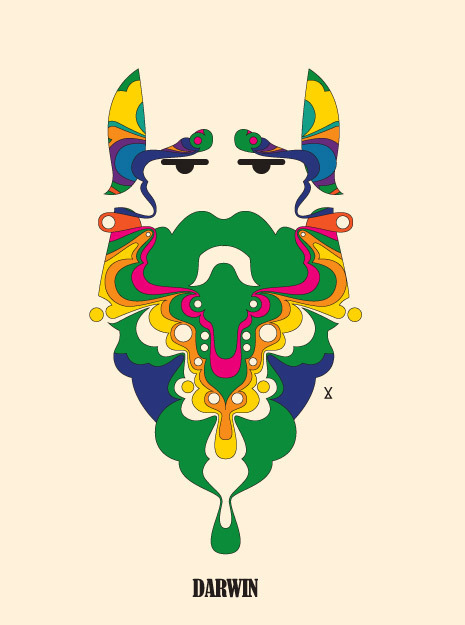 A portrait of the godfather of conceptual art, John Baldessari. A brilliant video for its inspiration, editing, graphic design and, of course, for its narration by Tom Waits. The difficult words, the unusual words: all these words that are rarely spoken and whose meaning we cannot even imagine. Designers James and Michael Fizgarald, the illustration duo from Ireland, also known as The Project Twins, have ‘gathered’ all these words that are rarely spoken and managed to visually explain them. 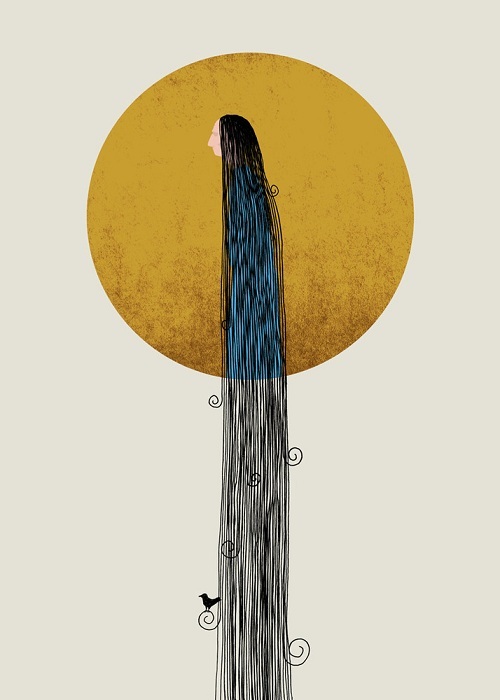 Acersecomic: a person whose hair has never been cut. 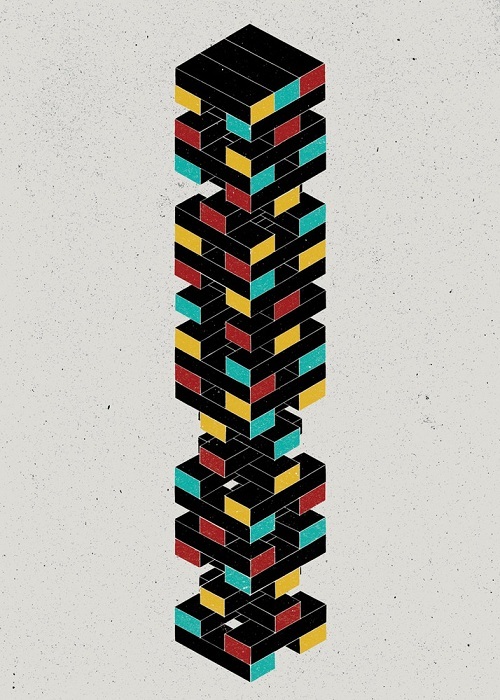 Zugzwang: a position in which any decision or move will result in problems. To read James Joyce’s Finnegans Wake, is quite an experience; I cannot even imagine how could anybody try to illustrate its world of dreams and illusion. 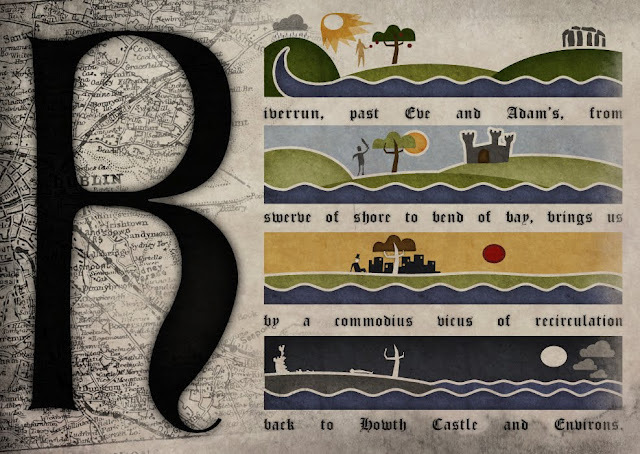 In February of 2010, Paris-based designer and illustrator Stephen Crowe decided to undertake this task; to illustrate chapter by chapter one of the most difficult works of fiction in the English language. 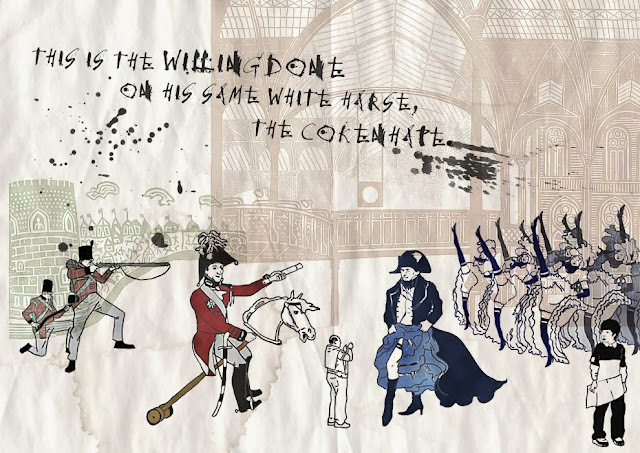 The result is an ongoing project entitled Wake in Progress, in which different techniques and design styles are mixed together. 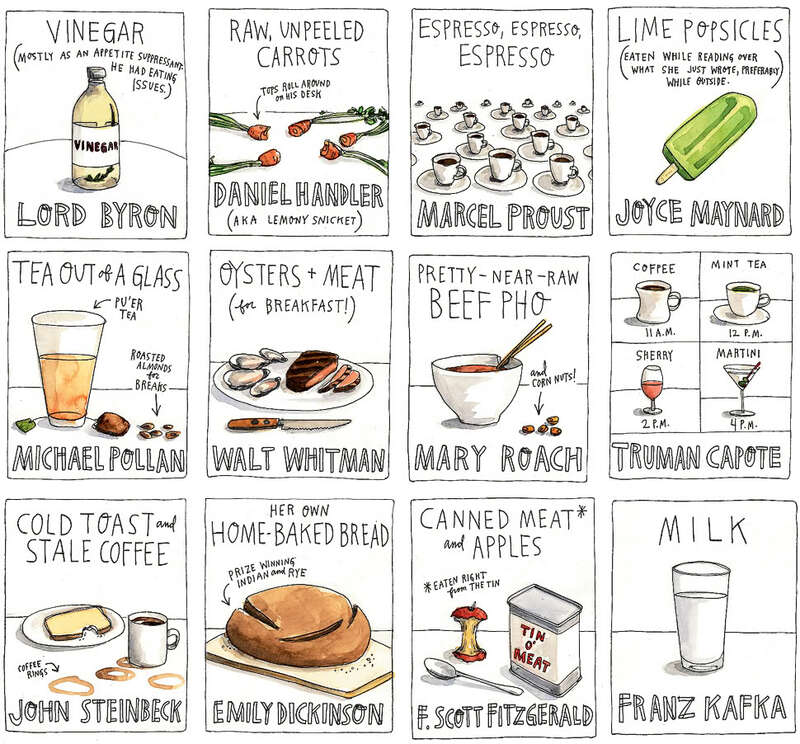 We have seen her work before, illustrating the food habits of famous writers and poets. 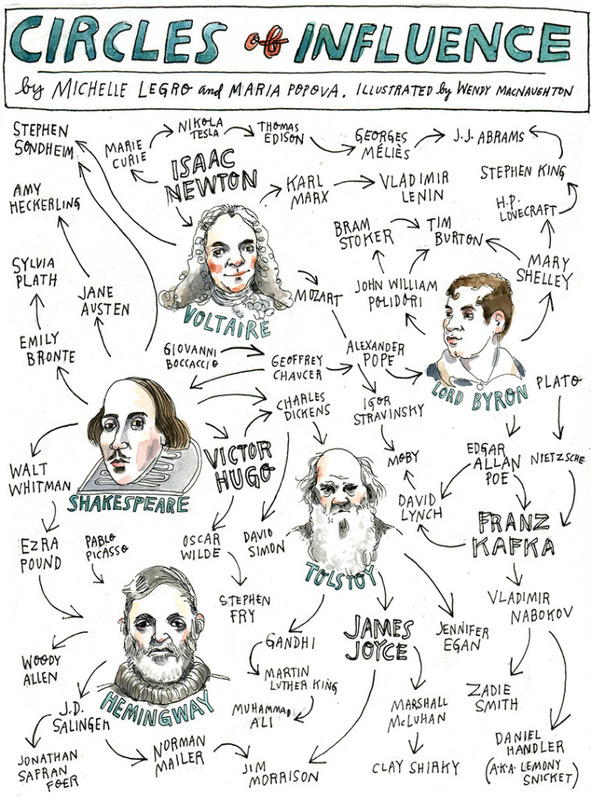 Now Wendy MacNaughton illustrates in a visually engaging manner the Circles of Influence, created by Michelle Legro and Maria Popova, which reveal the creative encounters and intersections of different writers, scientists, genres and eras. Walt Whitman used to have oysters and meat for breakfast, Emily Dickinson preferred her own home-baked bread, whereas Marcel Proust used to drink espresso to write his “In Search of Lost Time “, and not madeleine as we would have guessed. Even great writers and poets want some little treats for inspiration. Rene Descartes, a pop idol and Charles Darwin, the rock star. That’s how graphic designer Simon Bent decided to re-popularise some of the greatest scientists in history. 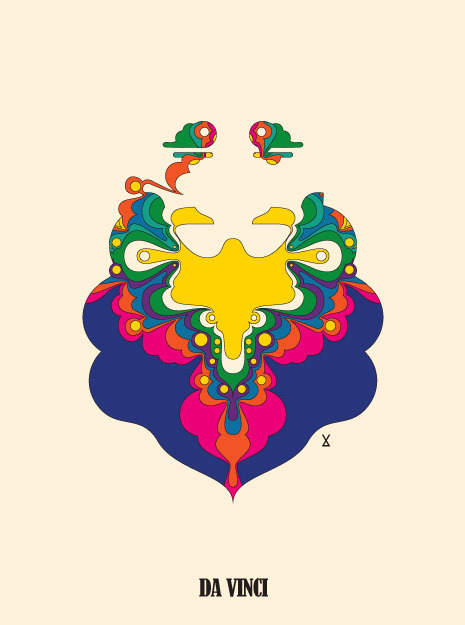 In his series of illustrations Science vs. Delirium, he renders these iconic figures in the kinds of psychedelic patterns and colors, just like in 1960s acid-rock posters. You are currently browsing entries tagged with illustration at it's a small web.